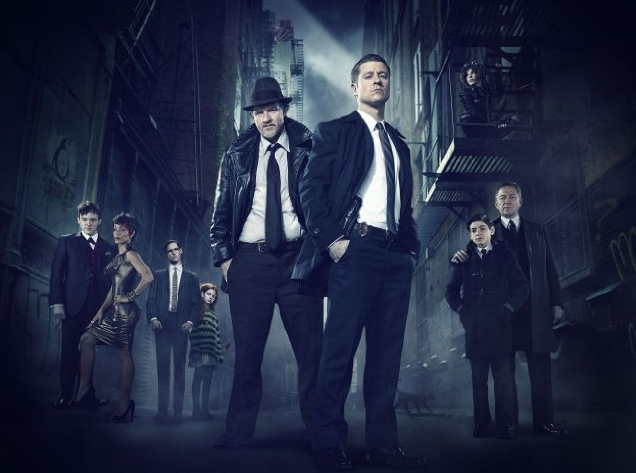 This is the final installment of a special five part series on Gotham. We’ve recapped all ten episodes that have aired so far, and today we’ll take a special look at the journey so far and speculate on what’s to come. Remember to tune in to the midseason premiere of Gotham tomorrow on Fox! We would also like to remind readers that Gotham contains some content suited only for older viewers, and viewer discretion is advised. Spoiler warning for past (and possibly some future) episodes! Gotham has only aired half a season so far, and yet quite a lot has happened in that short amount of time. We saw the murder of Thomas and Martha Wayne, as well as the beginning of a gang war. We’ve been introduced to famous heroes and villains alike, some long before they were ready to take up their iconic identities, and others already well on their way to becoming the characters we’ve always known. Reviews were mixed in the beginning. Opinions of the show overall are still pretty varied, but it’s nevertheless risen to being the number one show on Fox. Like all shows, it has its strengths and weaknesses. Its main strength seems to be its fantastic supporting cast. The show’s weakness, sadly, seems mostly to be a couple of the main characters. I’m normally a huge fan of Commissioner Gordon. In fact, I usually find him more of a hero than Batman himself. Not so this time. 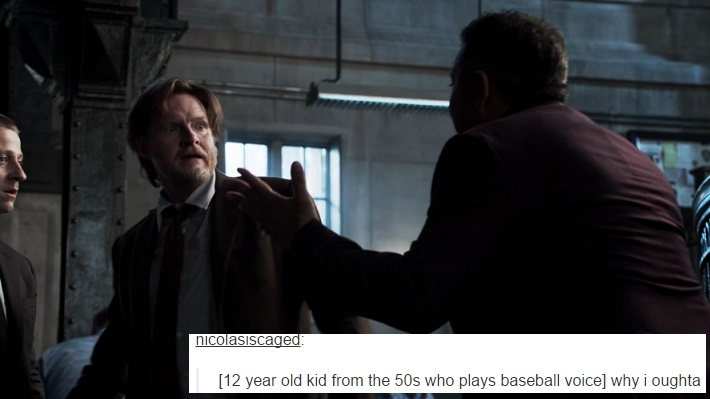 Gotham’s Jim Gordon is a good man. He definitely means well and is on the Good Side. But he is also very stony, serious, and not as compassionate as one would expect Gordon to be. What’s worse, considering he’s good and the GCPD is corrupt, you would expect his fellow cops to be wrong about the way they look at him. But they are actually right about him most of the time. Jim is very naïve, idealistic, and it causes him to go about almost everything in the wrong way. (Arresting Mayor James and Falcone out of the blue? Come on! There’s no way that was going to work!) Interestingly, I’ve seen interviews hint that he will turn somewhat bad himself during his mission to erase the evil in Gotham. It’ll be interesting to see what happens with him now that he’s being sent to work at Arkham Asylum. The other main character I found problematic was Barbara, who is not exactly an example of a great female character. Her main purpose on the show so far seems to be looking beautiful, and switching between comforting Jim and adding unnecessary drama to his life. She betrays his trust by blabbing his business to the newspapers, and then wonders why he keeps secrets from her. She works so hard to get him to open up to her again, and when he does, she decides she can’t handle it and leaves. I also doubt she’s the sort of representation the bisexual community was hoping for, as her past relationship with Montoya is used only to make her life more dysfunctional and eventually leads her to be unfaithful to her fiancé. What’s more, her drug problem totally came out of left field, and was only mentioned once before being forgotten entirely. Apart from them, however, I think the characterizations have been consistently good. Even Harvey Bullock took me by surprise. When we first meet him, we get the impression that he’s just a lazy jerk who isn’t afraid to break any law (including murder) to avoid trouble. Which… is true. But there’s more to him than that. Though he starts out very hard to like, he somehow becomes very hard to hate in the end. And honestly, I don’t quite understand it myself. His apparent lack of cleverness combined with his growing devotion to Jim makes him strangely endearing. Not everyone agrees with me, however. Several viewers I’ve seen have complained he’s too corny, and they make fun of the way his dialogue is written. But, to be honest, I think he’s probably supposed to be cheesy. In all his scenes, there’s this air of self importance he carries, coupled with a complete lack of self-awareness. It just seems to fit his character. I even find Captain Essen interesting, though she’s not really a major character. She definitely has her own share of personal conflict. Like the others at the GCPD, Essen is a proponent of the motto “Go along to get along”, which includes engaging in illegal and evil activity when it suits. But we do get glimpses of the “real” Essen below that, and she’s a woman who doesn’t want it to be that way. She’s a woman who, like Jim, wants to stand up for justice. But because she’s also a woman with a family whose safety she cares about, she doesn’t feel she has the freedom to take that stance. Of course, out of all the characters, Eddie is my baby. On one hand, I’m really excited to see what he’ll be like when he turns bad. But on the other hand, I don’t want to see it at all ever because I know it will absolutely break me. It’s true I’ve had lots of favorite characters that did villainous things or killed people and all that. But they weren’t Eddie. Eddie can’t do that stuff. I mean, just look at that happy little nerd. See. He doesn’t have a bad bone in his body. At least, as far as I can tell. But there have been several scenes already where I’ve expected him to do something evil, and he didn’t. Scenes where he slowly looks at the camera, and you expect an evil grin to spread across his face… but it doesn’t. Or the part where he picks up a knife that glitters in the lamplight, only for the scene to reveal he’s performing an autopsy. It often feels like there’s an invisible evil force floating outside his body that even he isn’t aware of, and its waiting for just the right moment to seep into his skin and take control. The behavior of his coworkers puzzles me as well. I understand that he’s awkward, and his love of puzzles gets on their nerves. But they seem almost to go out of their way to dislike him. Even when he’s kind to them, helpful to the case, and shows an interest in them as people. Do they sense something evil is in him and avoid him because of that? Or are they just being shallow and cruel, and their behavior is what will lead him to become evil later? Either way, I do often wonder what will ultimately send him over the edge. At first I thought his coworkers would just keep ignoring him until he lost it and started staging stunts to get attention. But now I’ve been hearing in interviews that his character will start receiving recognition and appreciation for his accomplishments. This choice of direction confuses me a great deal, since it seems to erase all the things in his life that are pushing him toward bitterness. Why will he eventually choose to go to the dark side, then? Will it be the opposite problem? Will the recognition go to his head? Or will he end up losing all that recognition again somehow, so that his unwillingness to return to failure drives him mad? Questions, questions. I just hope that, whatever sends him over the edge, it’s not rejection from Kristen Kringle. I’ve been worried about that ever since I saw his failed attempts to flirt with her in episode six. Don’t do this to me, Gotham writers! I hope I don’t have to tell you why that direction would be an unspeakably bad idea. Men turning murderous after being friendzoned is such a terrible old trope. I don’t want it used for my Eddie, of all characters. What’s more, when that trope is used, the female character involved always ends up getting the most unfair treatment. Eddie’s going bad should not, in any way, be labeled as Kristin’s fault. Especially since there are so many other things done to Eddie that he can be rightfully angry about. I mean, even Jim is rude to him. Whatever direction they take his story, I hope we see something happen with him soon, good or bad. They can only show so many episodes of him being snubbed by coworkers before it gets repetitive. I doubt we’ll see him actually go bad this season, as the showrunners said each season will focus on one villain at a time, and this one’s Penguin’s. We could maayybee see something of him going bad in the finale. But I think the majority of it will be saved for his own personal season, which I’m guessing will be either season two or three. As sad as it will be, I am looking forward to seeing the actor show a more villainous side to his role. 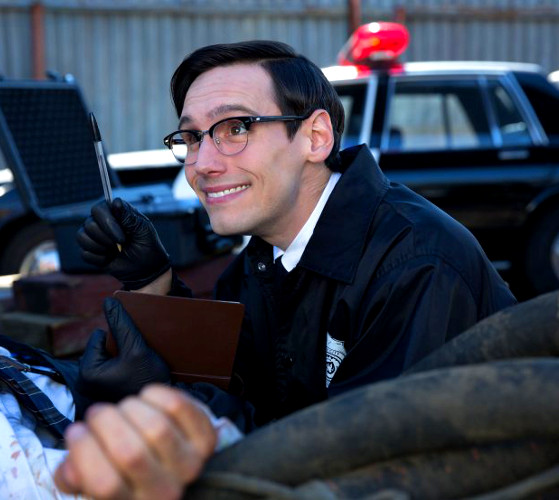 Cory Michael Smith is a great actor. He hasn’t had too many scenes to prove it yet. But I think once the show focuses on Eddie more, he could even give Robin Lord Taylor a run for his money as best Gotham actor. (And Robin Lord Taylor has consistently been hailed as the best actor on the show so far, hands down.) I think it will be a friendly rivalry, though, as both actors appear to be good friends in real life and are dying to do a scene together. And I‘m dying to see one! Imagine a scene with Oswald and Eddie interacting. And both such iconic villains, too. In one interview I saw, it was even mentioned that a confrontation between Oswald and Eddie is planned in a future episode. I can’t imagine what would prompt such a confrontation, but I hope we don’t have to wait too long to find out. It sounds fantastic. I have to admit, as much as I’ve always loved the Batman universe, watching Gotham is the first time I’ve actually liked Bruce Wayne. I usually liked it for the other characters. I’m sure many people will call me a heretic now, but Bruce is a character that has always uninterested me. He was cold, distant, wealthy, and overly dramatic about his parents’ deaths (which I could never connect to before). 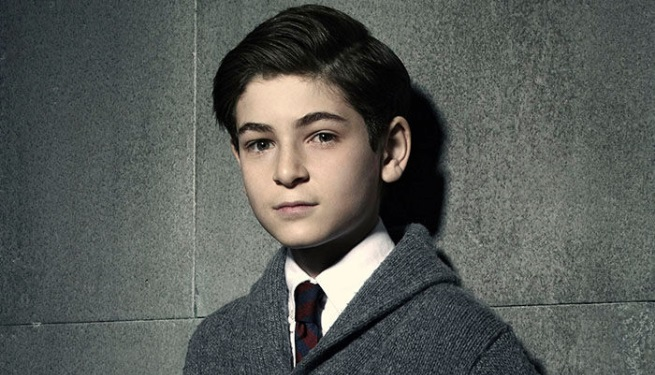 But David Mazouz is fantastic as young Bruce. I’m really looking forward to seeing more of him. And I’m especially excited to see him meet the other characters he hasn’t had scenes with. Such as Eddie, Oswald, Fish. People he’ll one day grow to fight. I was skeptical about Alfred at first, since he seemed so much more gruff than I expected him to be. But I really think they did the best possible thing with his character. I like that he’s so strict and yet such an enabler. I often think Bruce is really the adult in their relationship. One thing that surprised me was how they become such good friends so fast. At the start of the show, Alfred’s fatherly feelings for Bruce are obvious to viewers, but Bruce is unaware of them. I thought that would turn into a multi-season arc for their relationship, but they already seem to have bonded. I wonder what the showrunners will do now to make the relationship interesting? Cat has done nothing but impress me consistently so far. Camren Bicondova is an amazing young actress. She effortlessly portrays both a fun, gentle side, and the side of a ruthless street thief, and it flows together seamlessly. She even looks and moves quite like a Cat. I’m also impressed with Ivy, though we haven’t seen much of her yet. What we have seen of her has been delightfully disturbing, and I hope she makes more frequent appearances on the show. From what I’ve seen of the previews, it looks like we’ll be seeing a good deal of both her and Cat together. While watching TV shows, most viewers, of course, root for the good guys. But it’s okay to root for some of the bad guys too. Especially when there are multiple bad sides fighting to become the top bad guy. Even if you do ultimately root for the good side, you must have some opinion on which bad guy you want the good side to have to fight in the end. And there are many different Gotham baddies vying to take that place. In-fandom fighting over which one of them should win is already happening (if you haven’t heard someone cry “Penguins eat fish!! !’ yet, you will). The main competition in fans’ eyes seems to be between Oswald and Fish. These debates can get even more passionate and personal when you take into account that Oswald is a white male character, and Fish is a powerful woman of color — a rare character to see in most media. I personally adore both characters. I think you all know of my obsession with Oswald Cobblepot. And Fish is undeniably the queen of the fandom. They are both two of the most fantastic characters on the show. However, while I understand and appreciate what an important character Fish is (and I am truly in awe of her), I can’t help ultimately being Team Oswald. Take a look at Oswald Cobblepot. He’s small, he’s weak, he comes across as powerless. His motivations are to prove he can be somebody when everyone else thinks he can’t. Everything he does, he does despite giant odds against him. I’m not trying to excuse him at all, or claim he’s a good person at heart, because he most certainly is not. But as twisted as he is, there is something oddly inspiring about him. Then take a look at Fish. She is literally like an evil queen in a fairy tale. Fish seems to have been born with a natural power and presence that demands respect and obedience from people, and it's rare for her not to get her way. She wasn’t abused, mistreated, or looked down upon as far as we know. In the real world, there is a lot going against a woman of color trying to rise to power. But are things the same way in the fictional Gotham universe? It seems in her world, she has no needs and nothing to prove. Only an insatiable lust for power. And the power she already has, she lords over those weaker than her. While Oswald seems like he would be bullied, Fish would be the bully. And that makes it very difficult for me to root for her wholeheartedly. Although, once we dig deeper into her character, we may discover something that changes that. I also find it difficult to imagine Fish defeating Oswald, if the show decides to follow the comics at all. Fish is, as an original character, not someone that exists at all in Bruce Wayne’s future world as Batman. Whereas, Oswald becomes the Penguin. And as the future Penguin, he’ll have to defeat a lot of people who are above him to get to the top. Unless she’s also secretly a Batman villain from the comics, and they both end up taking control of the city in different ways, Oswald defeating Fish seems inevitable. But then, I haven’t exactly ruled out the possibility of her secretly being a villain from the comics, whose future identity has not been revealed yet. It would make for an interesting twist. And I’ve found it strange that, in the promotional material, whenever the “future Batman nemeses” are lined up, Fish is among them. I guess we’ll have to keep our eye on her. Oswald, meanwhile, seems to be captivating viewers. Most critics I’ve seen have named him as the main reason for the show’s success. And I’ve come across several people who are not at all fond of the show, but watch it anyway solely for Oswald. Robin Lord Taylor is certainly deserving of such recognition, as he steals every scene he‘s in. His character is fascinating, terrifying, funny. Not to mention the fantastic amount of sass. I mean… look at him. He even eats apples sassily. And I didn’t even know that was a thing you could do. Of course, I’ve already talked in-depth in a previous article about how interesting I find the relationship between him and his mother, Gertrud. And I’ve heard hints of a very intriguing scene coming up between the two of them. So I think we still have lots more to look forward to there. I’m also very interested in his relationship with Jim Gordon. They are two very different people, and only have a few scenes together so far. Yet, they seem to have developed almost a codependent relationship, in some ways. Oswald has skills that could come in handy for Jim, and Oswald seems determined to either help Jim or bring Jim over to the “dark side” (although… maybe those are the same thing in his eyes?). I wouldn’t be surprised if they end up needing each other to achieve their goals in the end, and often end up working together somehow. I’m also looking forward to finding out how they’ll continue to handle the Penguin’s rise to power. So far he’s steadily rose higher and higher. Will he continue to do so, or will it be more of a rollercoaster with ups and downs? What’s more, previews seem to indicate he’s not far from embracing the name “Penguin”, instead of fighting it. 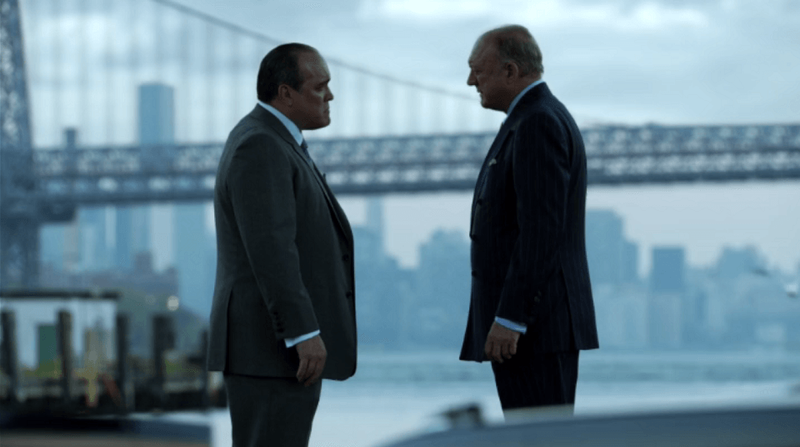 Of course, there’s also the two Dons themselves, Falcone and Maroni. They’ve pretty much been the series’ center of conflict, and I think the story involving them has been handled well so far. Despite his “weakening” from the Wayne murder and Arkham loss, Falcone is certainly a powerful, shrewd man. Maroni is a lot less clever; but also more brutal and unpredictable. I look forward to seeing which (if either) of them comes out on top. I have a hard time imagining that both men will still be alive by the end of the series (or possibly even the season). I don’t know if either of them dying would be canon to the comics, but this show doesn’t have a history of being faithful to the comics anyway. And I feel like the story will need some big event — such as the death of a major character — to shake things up and prevent it from becoming stale. Besides, neither Fish nor Oswald can take control if these two continually dominate the city. Then there’s the matter of Liza. She is yet another character who I would be surprised to see still alive by the end of the season. I believe she is capable of being powerful and dangerous, but I don’t think she realizes this about herself. And she is far too easily manipulated. It’s pretty obvious to everyone but her that Fish doesn’t give a dime for her safety. And if Liza thinks Fish will just have her continue to spy on Falcone forever, she’s kidding herself. Either Fish will make her try to kill Falcone, or she’ll sacrifice Liza for some great purpose in her plot. Either way, it won’t end well from Liza‘s perspective, so she’d better start thinking up a gameplan. Her smartest move, I think, would be to come clean to Falcone in secret — to say that Fish tried to use her against him, but that she doesn’t want to work for her; she wants to work for Falcone instead. Since Oswald also has her in his clutches, she’d have to make up some lie about him also plotting against Falcone in secret. It’s probably true, anyway. And it would be easy enough, since Falcone has shown he already harbors suspicions against Oswald. Falcone cares a good deal for Liza, and would probably believe what she tells him. He is also still powerful enough in this point in time to protect her from Fish’s and Oswald’s revenge (probably by disposing of them). Not only would this help Falcone keep his power, it would also most likely lead to Liza becoming his right-hand woman, which would make her quite powerful as well. I very much doubt this will happen, however. Such a move would surely end in the deaths of both Fish and Oswald, and they are both too important to the story to die. Liza, on the other hand, is disposable. I can’t see things ending well for her. Victor Zsasz thoroughly impressed me as a villain, and I hope we get to see more of him. We haven’t seen much of Harvey Dent yet for me to have much of an opinion on him. I’ve learned we will also meet two new characters this season — Leslie Thompkins and Jonathan Crane, both pretty famous figures in the Batman universe. We can probably expect plenty more red herrings for the Joker this season. The showrunners have said there would be a number of them, and so far we’ve only seen one. Most viewers expect these red herrings to distract from the real clues being laid down about the future Joker. Whoever the real one is, it’s sure to be quite a shocking twist. Many theorize that Oswald will actually turn out to be the Joker, and that his being the Penguin is just a front on the writers’ part. Robin Lord Taylor could totally pull off playing the Joker. But as cool a theory as it is, I kind of doubt it’ll be the case. 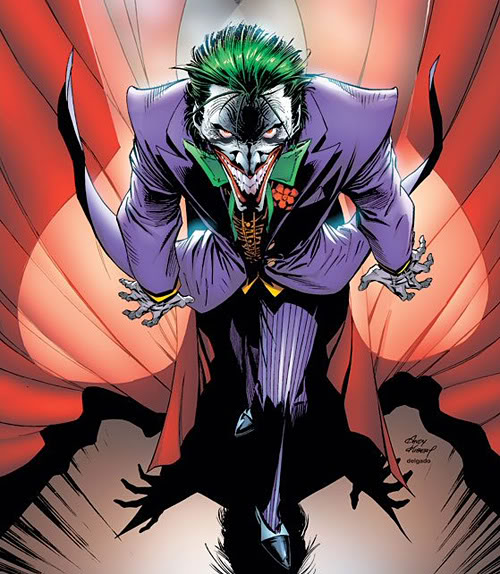 However, it wouldn’t at all surprise me if the Joker turned out to be some character we never suspected. Imagine if it was Fish Mooney! I’d love to see how audiences would react to a female Joker. As I mentioned earlier, I do find it odd she’s always included in the lineup of “future Batman nemeses” when she’s supposedly an original character. And the showrunners did say they were going to take their Joker in a very different direction than others have. I suppose it is possible. Though, if so, her character will have to change a lot before reaching that point. Another person to theorize about is the Wayne murderer. In the comics, he was just a mugger named Joe Chill. But I think Gotham will be going in a different direction. It’s most likely that the murderer will be a character we’ll get to know before being revealed as the Wayne killer. Whether that person is someone we’ve already met or not, I don’t know. A common fan theory is that the killer will turn out to be Harvey Bullock. I don’t know if Cat was being honest in her drawing of the killer, but to me it looked a lot like Mayor Aubrey James or Butch Gilzean. If it did turn out to be Butch, he was probably under orders from Fish Mooney as part of her plan to weaken Falcone. And that would certainly add fuel to the future fire between Bruce and the Joker, should she turn out to be the famous nemesis. Well, that’s it for now! We’re all caught up. I hope you’ve enjoyed this Countdown to Gotham series. I will return as your regular Gotham Girl next Monday to recap the midseason premiere. Don’t forget to watch it tomorrow night on Fox! Izzy is a 25 year old INTP from California. Her hobbies include writing novels, studying psychology, and admiring strange architecture. When she’s not busy investigating the dark corners of the human mind, you can find her happily over-analyzing fandoms such as Star Wars, Supernatural, The Walking Dead, The Bartimaeus Sequence, and anything Batman related. Despite many attempts, no one has yet been able to stop her from adopting fictional babies of dubious morality.